Oil major Chevron has terminated its order for an FPSO unit which was planned to be used on the Rosebank field in the UK North Sea. Hyundai Heavy Industries (HHI) was sent a termination notice earlier this week, according to reports. The order had been valued at $1.85billion. 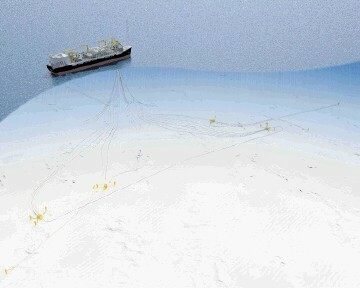 The original contract had been signed in April 2013 with Chevron North Sea Limited. In a statement from the Rosebank Joint Venture, the firm said it is continuing through Front End Engineering and Design (FEED). A spokesman said: “Chevron North Sea Limited (CNSL) can confirm that the agreement with Hyundai Heavy Industries (HHI) to provide the Rosebank Floating Production, Storage and Offloading (FPSO) vessel has been terminated with immediate effect. “Chevron continues to value HHI as an important member of its world-wide supply chain and looks forward to exploring future business opportunities with HHI in accordance with business needs. The Rosebank field was discovered in 2004 and is estimated to contain recoverable oil equivalent resources of 240millio barrels.